A RIDE on the swings, a walk along the beach and a first-time-ever go on a see-saw. Yesterday was a pretty awesome day in terms of fun for the Little Mister. While I was at work, his nani and nana ji were in charge. And he loved it. He’d already had a good morning – I’d taken him to Baby Rock and Rhyme at Kilbirnie library and he’d had a great time singing songs and watching his mama mess up the hand movements. But it seems that it was once I’d left for the office that the fun really started. The Little Mister loves getting out and about. It seems to be a common theme among his baby friends. It doesn’t matter what the weather is, being at home is boring. This works well for all concerned really, because being out also usually means being more tired and having a better sleep as a result. Except for the times that it means being over-tired and having a meltdown because we were somewhere the Little Mister was too distracted to get some shut-eye. So yesterday, Little Mister was taken to Lyall Bay by his grandparents. It sounds like he played on the baby swing for about 15 minutes. I wish I’d been there, but I’m told he was kicking his legs in glee. And jabbering away at the same time, telling the older kiddies at the park all about it. Next up was the see saw – another hit – and of course he had a walk on the beach watching the waves and a little time factored in to stare at the sea gulls. He really is a joy. He brought so much happiness to everyone who looked after him yesterday. And as he learnt more about the world about him, he too was one happy little pixie. 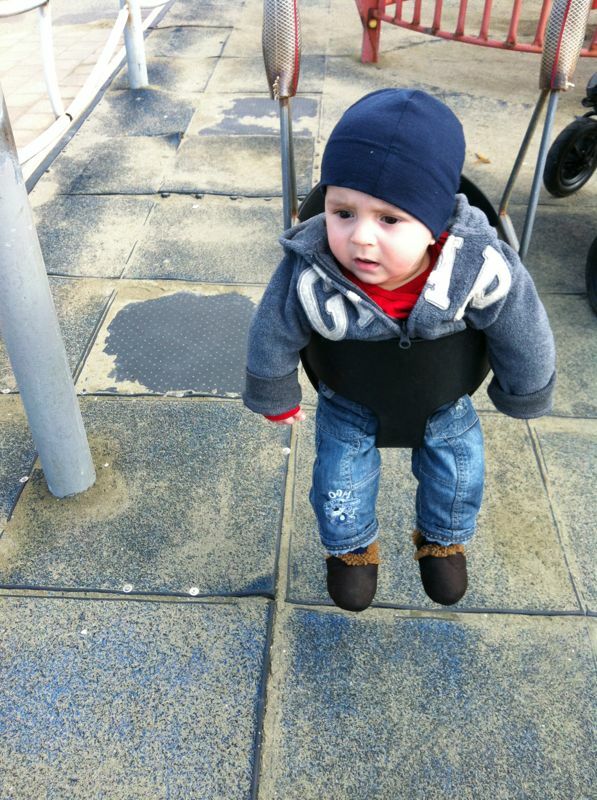 The Little Mister loves the swing. But more than that, he loves his nana ji. After a day at the beach, the Little Mister played with his grandparents at home. 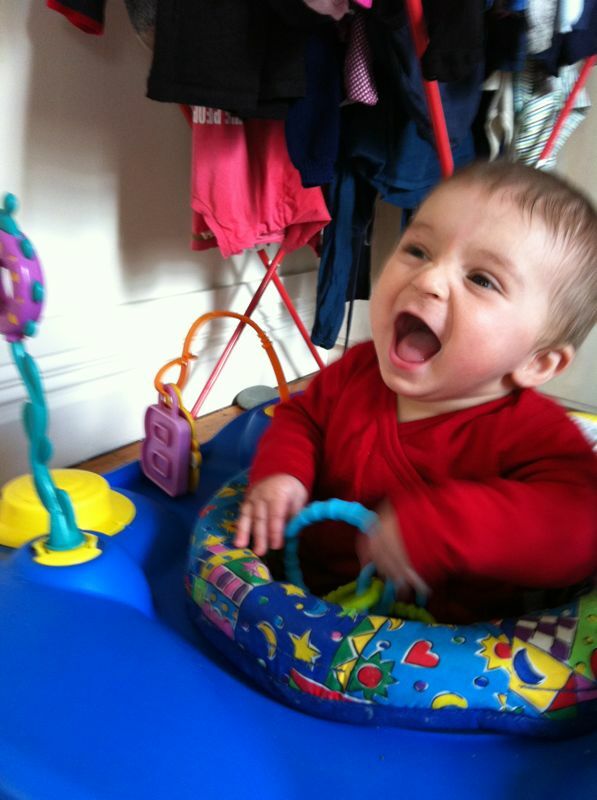 Here he is, laughing out loud when nana ji – his favourite person – plays peek a boo from behind the door. So much joy. 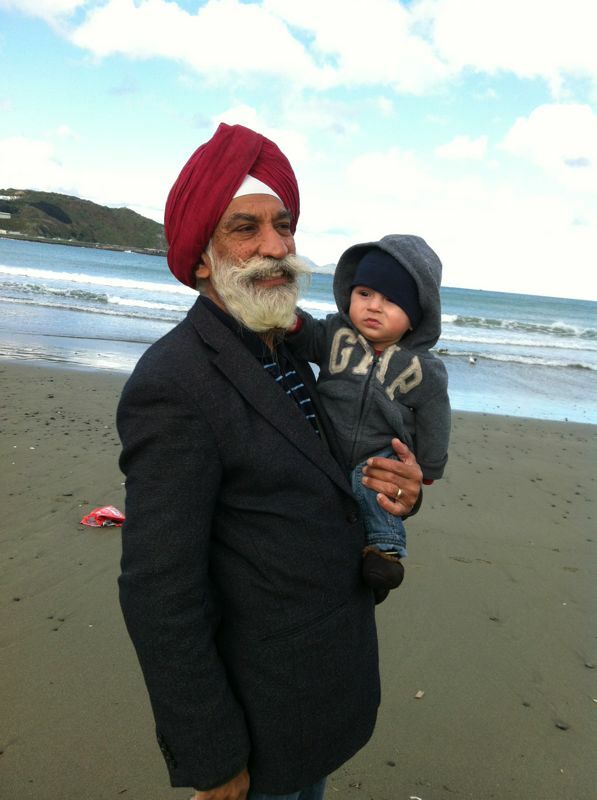 This entry was posted in Babies, Family, Parenting, Uncategorized, Wellington and tagged Beach, Grandparents, Happiness by Kiran Chug. Bookmark the permalink. Milin looks sooo happy in that last pic. Awesome to see him getting some quality time in with his nana ji. Yep! He’s one happy bunny anyway, but with the grandparents around he’s super happy!